State Sen. Max Wise answered questions and addressed concerns from a crowd made up mostly of school district employees during a Town Hall meeting on Monday evening at John Burr Memorial Gymnasium. Wise covered a variety of topics, but focused on several hot button issues from the 2018 legislative session like the Kentucky teacher’s pension system and Gov. Bevin’s shocking comments. Wise pointed to several issues that helped create hostility across the state during the legislative session including Gov. Bevin’s incendiary comments. Bevin said that he “guaranteed” children were physically harmed, poisoned, sexually assaulted and/or tried drugs after having the day off on Friday April 13; a day when teachers from across the commonwealth traveled to the state capitol to protest changes to current and future enrollees in the Kentucky teacher retirement system. “If the governor had kept quiet and handled it differently, I don’t think it would have been the same situation and it we had more stakeholders involved in fixing the system, we could have had better communication,” said Wise. When Wise and several other legislators came out and vocalized their opposition to Senate Bill 1, but a Facebook post went viral claiming that Wise had actually supported the bill that at the time would have cut retired teacher’s Cost-Of-Living-Adjustment from 1.5 percent to 1 percent and would have made several other major changes to the inviolable contract. Wise says he also opposed the bill because there were never any options presented to actually fix the failing pension system. Wise said that he and his family received threats in the weeks during and after the legislative session that has caused him to question his future in politics. 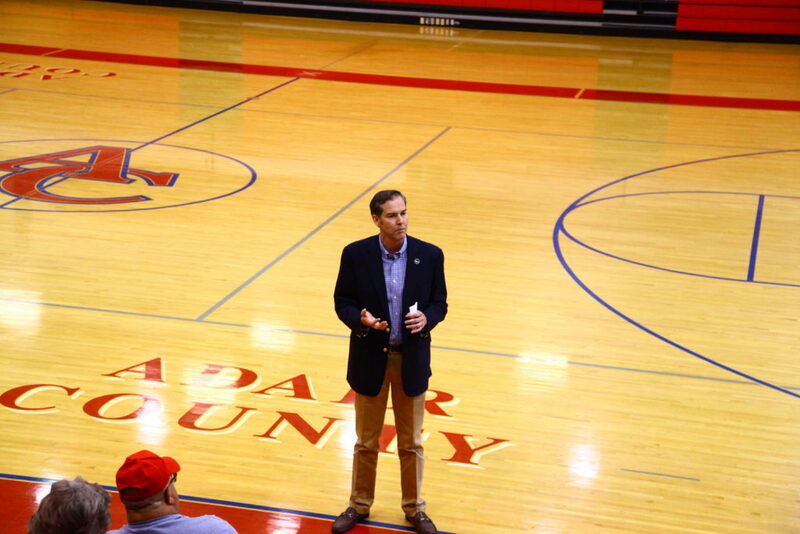 Wise will continue his Town Hall meetings over the next few weeks at school systems in District 16 including Adair, Clinton, Cumberland, McCreary, Russell, Taylor, and Wayne counties. District 16 State Sen. Max Wise talked to a crowd of approximately 20 on Monday and answered questions about the pension system and other topics from the 2018 legislative session.